With sparkling turquoise waters, colorful coral reefs, deep green jungle rainforests, and an abundance of underwater and aviary activity, Belize is easily one of the world’s most famous Caribbean destinations. 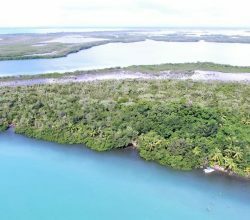 Its diverse species and ecosystems give this small Central American nation a global biological significance, with the Belize Barrier Reef being the second largest marine system in the entire world. With the crystal clear waters and the proximity to the reef, especially in the small islands off the coast of the mainland, there are many opportunities to enjoy snorkeling, scuba diving, sailing, and other water sports. The Blue Hole, just miles off the coast, is one of the world’s most famous scuba diving destinations. The country is also extremely culturally significant with a rich history of indigenous Indian inhabitants—mainly Mayan—and a present-day population of more than 350,000 French, Spanish, African, and indigenous descendants. Originally settled by the Spanish, the country is currently a commonwealth territory.Belize is bordered by both Mexico and Guatemala and boasts a bilingual community with English as the officially spoken language. Belizeans are very friendly people and are very welcome to visitors. 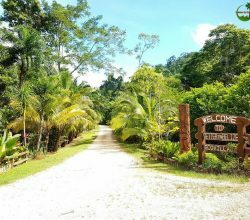 Traveling abroad to Belize is not only enjoyable because the people are friendly, but U.S. dollars are accepted in the country, making it easy as well. The exchange rate is 2 BZD to $1 USD, so it’s easy to get around and pay for goods and services. Visitors and expats abroad in Belize won’t have to give up their North American quality of life. Most areas of the country live up to U.S. standards with infrastructure, and it is increasing in places that it may not match up. As tourism becomes increasingly popular, development increases as well. Homes and condos in the country are built strong, many surviving hurricane conditions. 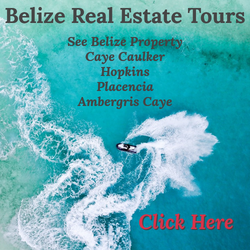 For these reasons, Belize is also a country in which to consider making an overseas investment. 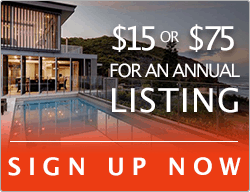 The Ambergris Caye real estate market is one of the most popular for expatriates. 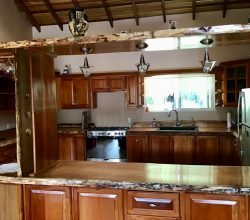 If you are interested in buying real estate in Belize then make sure you use a local attorney and a qualified Belize real estate agent. Healthcare is reliable, especially in bigger cities like Belize City on the mainland, which is easily accessible from the islands. Many are also concerned with safety in Central America, but Belize is a relatively safe country. Like in any area of the world, you will have to take your precautions, such as avoiding certain areas, avoiding walking alone at night, and staying away from any illegal activity. If the people and the culture of Belize don’t grab your attention, the weather will – described generally as sub-tropical. The humidity is high but is rarely uncomfortable at around 85%. Temperatures average throughout the year at 84 degrees Fahrenheit. During the winter, it will rarely fall below 60 degrees and the summer sits around 86. There are roughly two seasons in Belize: wet and dry. The dry season, from February to May, sees little rainfall. Even if it does rain, it comes in short bursts. June through December is the wet season, during which parts of the country can get up to 150 inches of rain, mostly falling during the late afternoon. Overall, the climate is mild and perfect for relaxing on the beach, drinking a cocktail, and enjoying the sun. The cost of living is quite low, making it one of the of leading Central American countries to live overseas in. A one-bedroom apartment can be as low as $314 a month. A three-bedroom apartment for your family can be as low as $600 a month, and that’s in the city! The farther you get from the city, the cheaper the rent. The islands off of the mainland can sometimes be cheaper as well. Though the property prices can go up on the coasts, the smaller islands mean easier transportation. On Ambergris Caye, for example, the main form of transportation is golf cart, so no need for a car. A bike would also suffice. For the most part, grocery shopping in Belize is also relatively cheap, especially produce grown in the country. Sometimes exported goods can be expensive, but if you are looking to embrace the island lifestyle, including the diet, you can get by quite inexpensively. U.S. and Canadian citizens can enter the country visa-free for the first month and must go to the immigration office monthly and pay $25 USD for a visa. After three months, you will have to pay more. 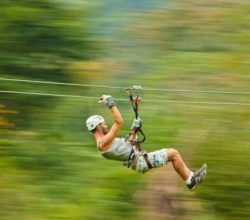 If you are looking to spend an extended period of time abroad, or even live overseas in Belize, it’s a good idea to check out some of the residency options. Belize has one of the most attractive retirement programs for those looking to retire abroad easily and inexpensively. The program, named the Qualified Retired Persons program, only requires that applicants be 45 years of age or older and prove they have the means to deposit $2,000 into a Belizean bank account monthly. 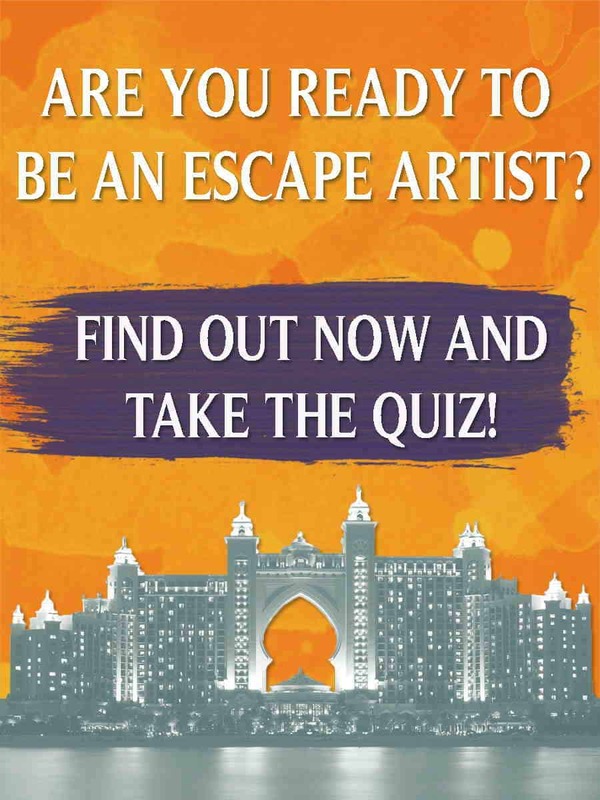 Those who qualify for this are granted special residence status and only need to stay in the country a month out of the year. To qualify for permanent residency you must first spend 50 weeks in the country. During that period, you cannot leave for more than 2 consecutive weeks. As a permanent resident, you don’t have to deposit any money into a bank account, but you do have to prove sufficient funds for living abroad in Belize. After five years of permanent residency, you will be able to apply for citizenship. The process can take six months to a year, so plan ahead. If you want to work abroad in Belize without residency, you can apply for work permits, a pretty easy task. Business owners rarely complain about the process being difficult. 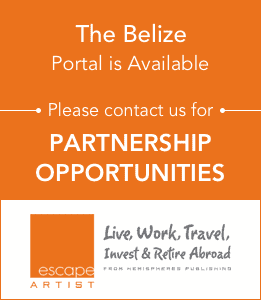 Self-employment permits are the easiest to obtain, because it will likely be understood that you may be a person with a business that can create jobs for local Belizeans. General work permits can be applied for by the prospective employer, who will have to prove they were unable to find a local resident to fill the position.